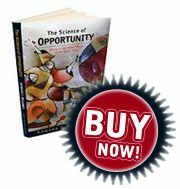 Howard Melamed has created the Science of Opportunity – a Simple and straightforward, effective approach you can use to create more of what you want in your life. 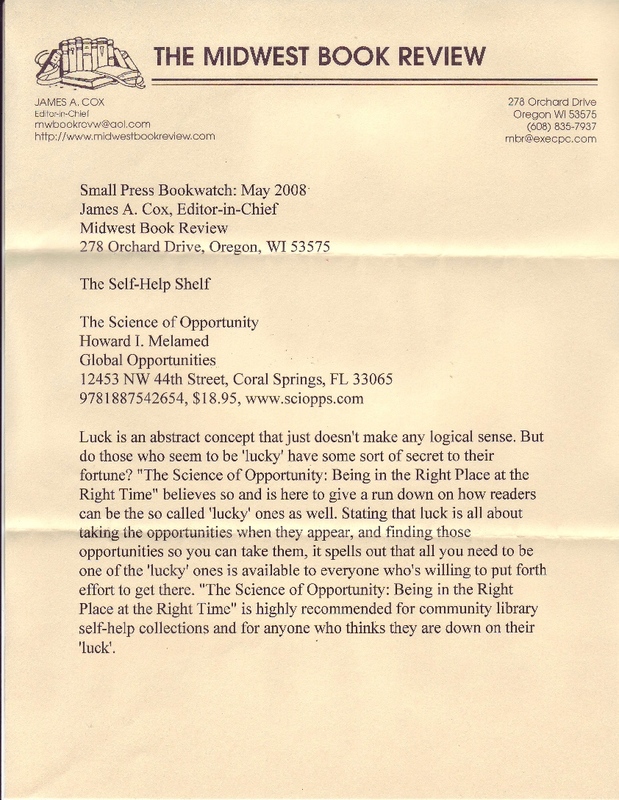 Book available in soft and hard cover. Audio book available for download. 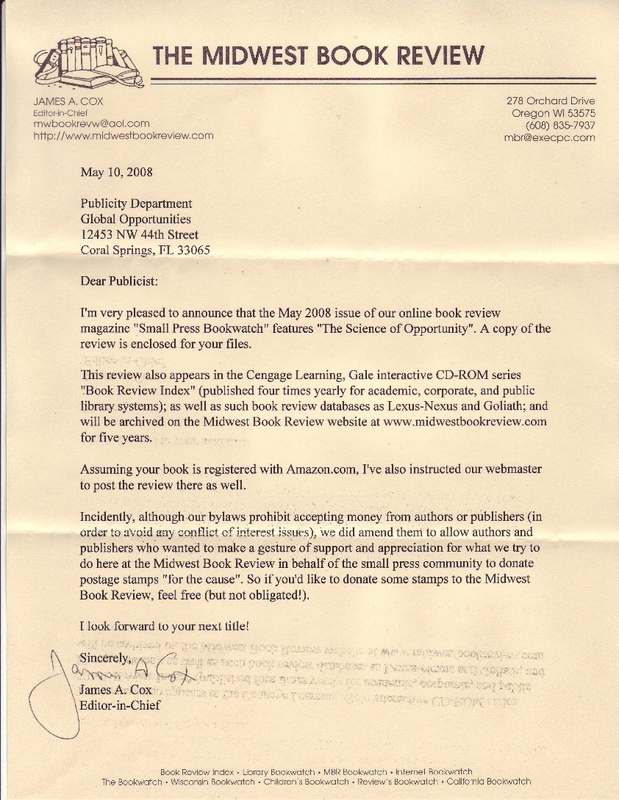 Please read the book review by: „THE MIDWEST BOOK REVIEW”. Entrepreneur and businessmen looking for new ways to improve their skills.